High-growth startups typically raise capital, particularly in early stages when revenue isn’t yet sufficient to support the speed necessary to be competitive. Unfortunately, this is also the point of a company’s development lifecycle when the risk is particularly high, making traditional sources of funding difficult. Angel investors commonly fill this gap, with deal sizes between $50,000 to $1M. Angels are usually high net-worth individuals who invest his or her own money in startup companies in exchange for an equity share of the business. Many angels are former entrepreneurs themselves. In addition to financial capital, top angels mentor their portfolio companies and introduce entrepreneurs to potential customers and investors. Learn more from the Angel Capital Association. MSU VentureCatalyst™ was developed with heavy input from the angel investment community. Work through our proven process prior to engaging capital sources.  MSU works with multiple, independent angel networks across the region and maintain close relationships with each organization to ensure startups in our program are positioned for success. The Bulldog Angel Network is a network of MSU alumni and friends of the university providing angel investments to early-stage companies that are majority owned by MSU students, faculty or alumni. BAN seeks four online deal pitch sessions per year from 1 or 2 companies per session. Individuals make their own investment decisions from these deal pitches. BAN is managed by an experienced executive and entrepreneur who has generated successful exits and BAN handles all communication and meetings remotely so that no travel is required by members. The Mississippi Angel Investor Network is a group of accredited investors who review fundraising pitches from Mississippi-based innovation companies seeking seed and growth capital. The Network is administered by Innovate Mississippi and is comprised of accredited individual and institutional investors from inside and outside of the state. The Gulf Coast Angel Network is a group of accredited investors who are interested in investing in companies along the Gulf Coast and beyond who need capital for growth. They consider all types of high growth and high revenue potential businesses capable of delivering 3-10x in 3-7 years.